In the Spring of 2015, Austin joined YouSolv as a co-founder and CTO. As the sole technical co-founder, he was responsible for all things product-development related, in addition to looking after the company's IT infrastructure. After many long nights of hard work, the team launched YouSolv.com in July 2015. Unfortunately the company was not successful, and ultimately shut down the site. Austin is still proud of his contributions to the company, and is confident that the lessons he learned along the way will pave the path for his future entrepreneurial success. 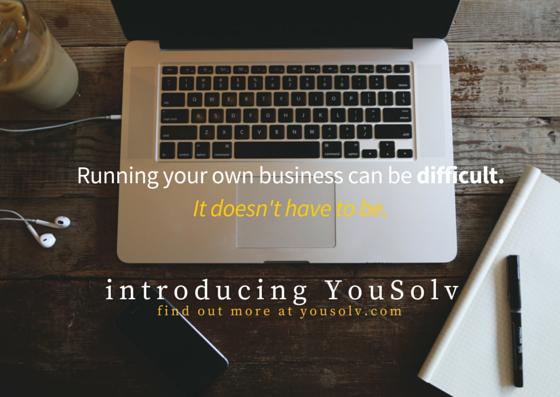 YouSolv was created to help small business owners succeed, in face of the numerous challenges they will face on their road to prosperity and growth. Austin and his co-founders believed that while small business owners often need the most help understanding the financial side of their businesses, they are the least able to afford high-cost consultants. That's why they created YouSolv and it's powerful suite of self-service tools. Their automated business consulting engines allowed business owners to input financial data, which YouSolv's algorithms analyzed before providing the customers with a report analyzing their business and what they can do to improve. YouSolv offered two business analysis engines - one analyzing profitability and the second analyzing cash flow.